You know how you tend to tell yourself “no” a lot? It’s all part of being a grown-up, that delayed satisfaction, watch-your-waistline, “I have a million things to do” mentality that separates us from toddlers, who are probably eating a cookie and drawing on your snooze button with your lipstick right now. 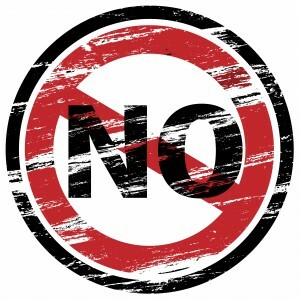 So now that the kids are home (or about to be home) for the summer, I would like to give you permission to say “yes” to yourself more, and put “no” on summer break. Buy the song. If you find yourself turning up the radio and singing along with a new song (or classic) that speaks to you, download it immediately. Your soul needs it. Take the kids for ice cream even if they had some yesterday. Summer is short, as is life with kids in the house. Just say no. Wait, isn’t this blog post about saying “yes.” Well, yes, but you need to say “no” to things that you abhor doing. If that’s volunteering to run the fall fundraiser, carpooling anyone, anywhere or working this Friday when you’d planned to hang things on your wall and fill your iPod, say no. You’ll find a way to do it. You know you know how. As for me, I’m going to have a cookie and some more tea — with a fresh tea bag. Cross-posted at ParentingWithCancer.com, which I gave myself permission to launch a few years ago. Great wisdom, Jen! Having had to my life changed by chronic illness at age 32, I can relate to what you are saying. Life is just too short and we should take the time to actually enjoy it.